The son of a factory foreman, Ailes had a hand in political campaigns in almost every state in the country. He was a key advisor over the last half century to presidents Nixon, Reagan and George H.W. Bush. He was drawn to winners, and loved to be in their sphere—whether a small-town councilman in Cold Spring, New York, or the president of the United States. When President Obama called him “the most powerful man in media” he basked in the glow, and posed smiling alongside the Democratic president he had done everything to undermine. 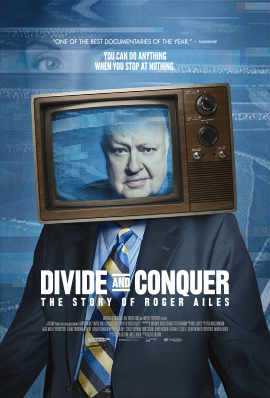 Ailes hated what he called “the New York elite.” He was fueled by his resentments, and he bullied the people of Cold Spring – where he had a weekend house - as much as he bullied the people in his professional domain at Fox. He lived his life in fear of bleeding to death, say his longtime friends. Some say it helped him to better understand the fears of others, which he monetized on television, inaugurating the age of “anger TV.” He capitalized on other instincts too, insisting that Fox newswomen wear short, tight dresses, and displayed themselves as explicitly as possible. “We’re getting the same girls to dance around shinier poles,” he proudly said to the New York Times.